Click the image above to get access to all the support you need to join in on the 2018-2019 campaign. All new certification earned after May 23rd, 2018 will count towards the 2018-2019 campaign. 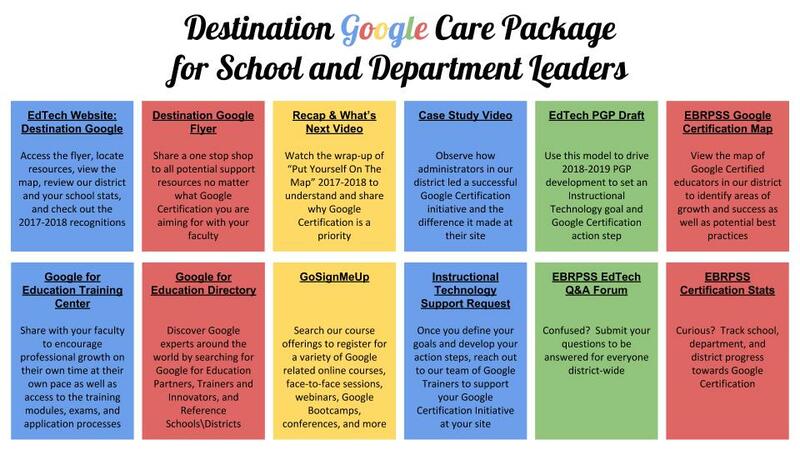 This year's recognitions will go to the highest percentage of new Google Certifications earned compared to overall faculty numbers. Complete the Fundamentals Training or attend one of our Google Bootcamps to prepare for the Level 1 Exam to start your journey. 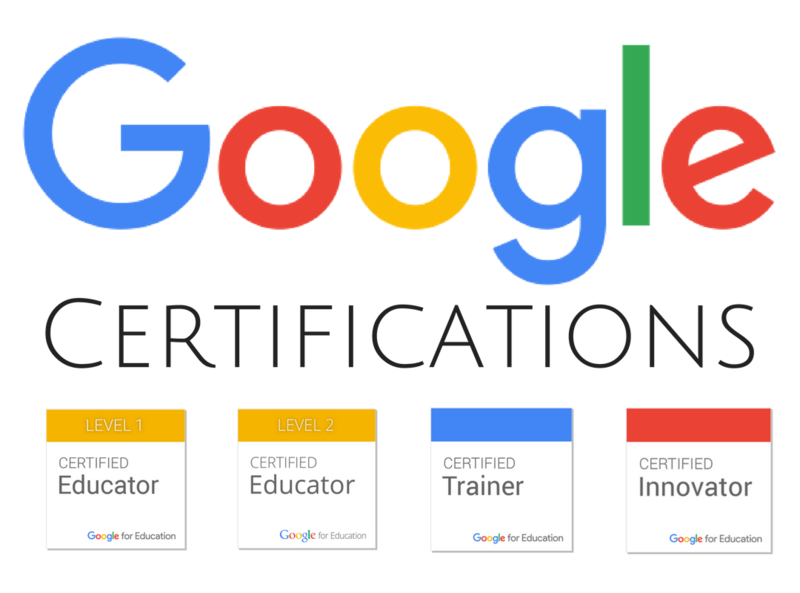 Take your certification to the next level by completing the Advanced Training or attending a Google Level 2 Bootcamp to prepare for the Level 2 Exam. Become a leader by attending a Trainer Bootcamp or completing the Certified Trainer course to prepare for the Trainer Exam and apply to be a Trainer. Help drive educational transformation by leading an innovative project. Submit your proposal by applying to the Google Innovator program. Are You A School or Department Leader? 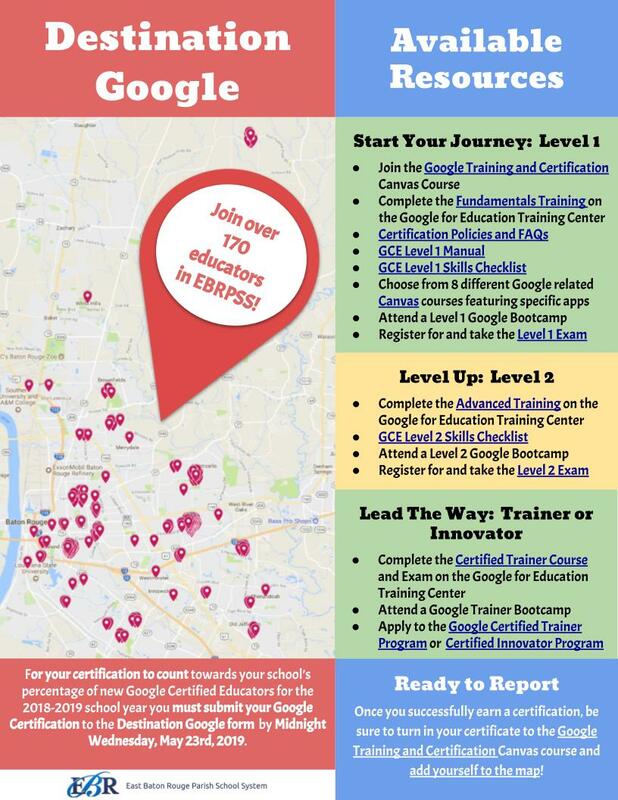 Have you earned a Google Certification? Don't see your pin on the map? Add yourself using the button below. Join us to celebrate our succeses and to launch "Destination Google"